I am honored to have received an invitation to join a virtual blog tour in which bloggers share their writing process with others. 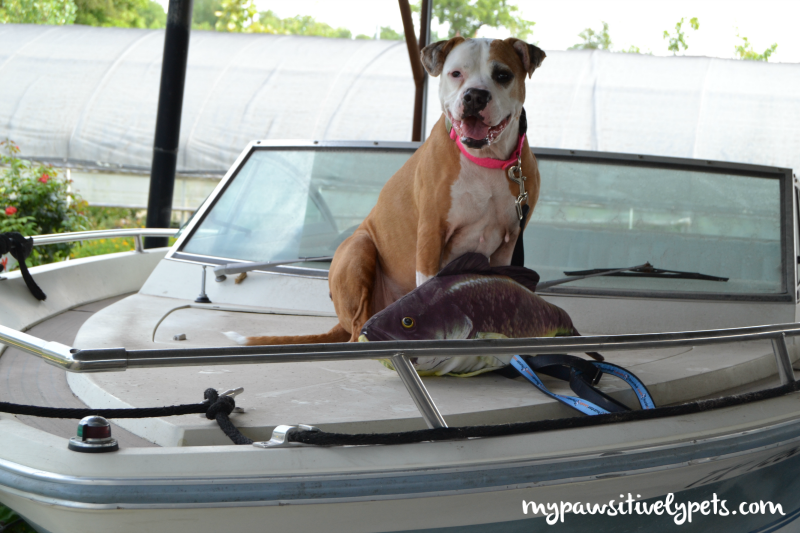 I was invited by two of my favorite bloggers, Ann from Pawsitively Pets and Jen from Dogthusiast. Not surprisingly, my favorite cast member from Pawsitively Pets is Shiner, the resident senior dog. What is great about Ann and her site, is that it is not dedicated to one particular species or facet of animal care. As a former vet tech and current SAHM, Ann provides well-rounded posts about dogs, cats, and exotic pets, including her two pet rats. There are product reviews, giveaways, health tips, and entertaining/funny stories and photos to be found. DOGthusiast is such a great name. I absolutely relate to it. Jen is a tech-savvy graphic designer (Jealous!) who values many of the same things I do when it comes to caring for our companions. She is pro-rescue, feeds raw (!! ), and is open-minded. She lives with Mort, who seems to have quite the personality, and Tig, whose sweet face reminds me of my girl. Jen is all about training, and active dogs. For a chance to be featured on DOGthusiast, use #activedog on Instagram, and tag @stylishcanine. At any given time, I have multiple ideas in my head, and on post-it notes, but not all of them come to fruition. At the top of priorities list is to edit my Bone Broth and Beef Lung Treat posts with better images. 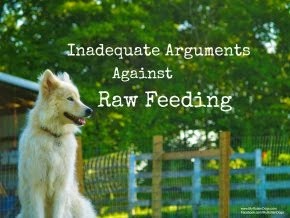 I am passionate about dogs eating real food, be it raw, some raw, homecooked, or kibble supplemented with raw or homecooked. This is the major basis for many of my beliefs and posts. 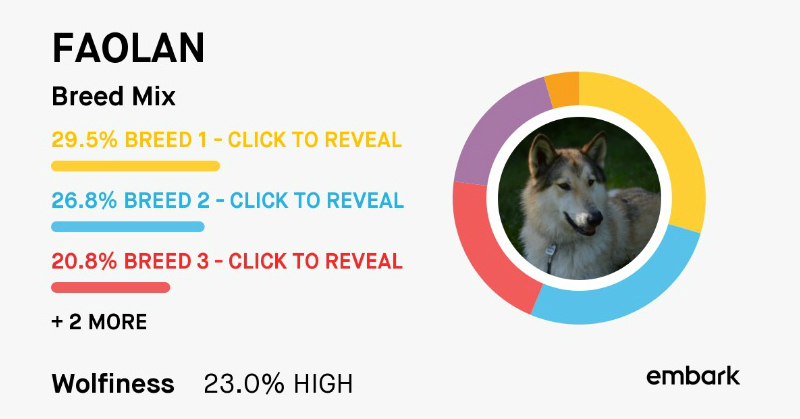 I am an advocate of wolfdogs and northern breeds, and believe in allowing a dog to have an enriching, full life, without pushing the dog too far or making it uncomfortable. I really wish I was better organized in regards to this blog. I can pound out a post quickly if necessary, but sometimes spend a great deal of time researching and gathering facts. I also like to cite sources to back up facts that may be considered controversial. I do not work far in advance, but instead write and post about what strikes me as important and relevant at the time. My favorite blog hop is Black & White Sunday, which I always participate in. I sometimes participate in Wordless Wednesday and Tasty Tuesday blog hops as well. This has proved difficult. Many of the blogs that I would like to invite have already participated. Some didn't email me back. DM from Dachshund Nola. This blog is fun, funny, truthful, and features beautiful photography. Nola is easily the fittest Dachshund I have ever seen, and rules over Pike, a Miniature American Shepherd, and her minions. DM is sarcastic, witty, and honest. She is addicted to collars, and dare I say that her addiction is even more severe than mine? She feeds homecooked and fresh food, and features training tips and videos. As someone who needs to work on my photography, I appreciate that she often posts the camera settings used to capture some of her stunning images. Abby from Doggerel. The Doggerel has a vintage, artistic feel to it, which makes sense, given that Abby is a calligraphist. 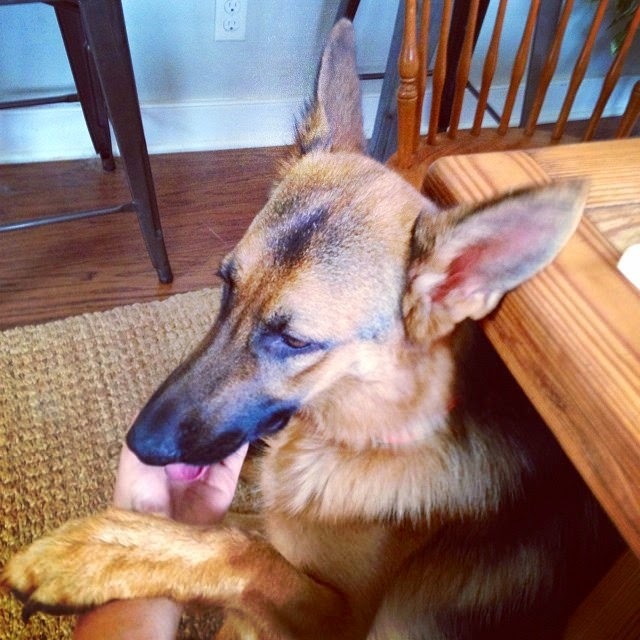 She has two beautiful GSD's, Pyrrha and Eden, and has dealt with her fair share of reactivity and fearfulness from her dogs, which she writes about with integrity and honesty. She features poetry, vintage photos, training tips, and product reviews. That's it for me. If anyone has any tips on how I can improve my efficiency, productivity, or organizational skills, I would love to hear them! Oh, man. If anyone gives advice on improving efficiency, productivity, or organizational skills, I'll be back to gather them up! I absolutely adore your blog - the passion you mention really shines! I'd love to hear them too! LOL. I am disorganized as well, but I guess sometimes that works for some of us! 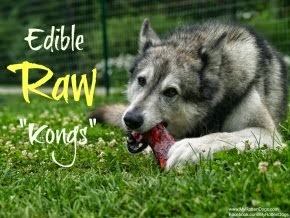 I love your passion for feeding your dogs homemade and raw food, and for living naturally. I would come here for advice if I ever decided to go that route. Thanks! Will get a post up soon. I really enjoy your blog and your thoughtful, conscientious posts about your dogs. They are so well-raised, and I am always reading to glean useful tips and tricks from you! Yours is one of my favorite blogs. I love how you have a similar mindset in regards to feeding. Both pro raw/natural/home cooked, but not one of the "Natural Nazis", if you know what I mean. I've loved watching your blog grow an evolve! Thank you so much for inviting me and for the kind words! I can't wait to participate. Hopefully my computer will behave for me! I've been really enjoying these tours. Thanks for sharing. 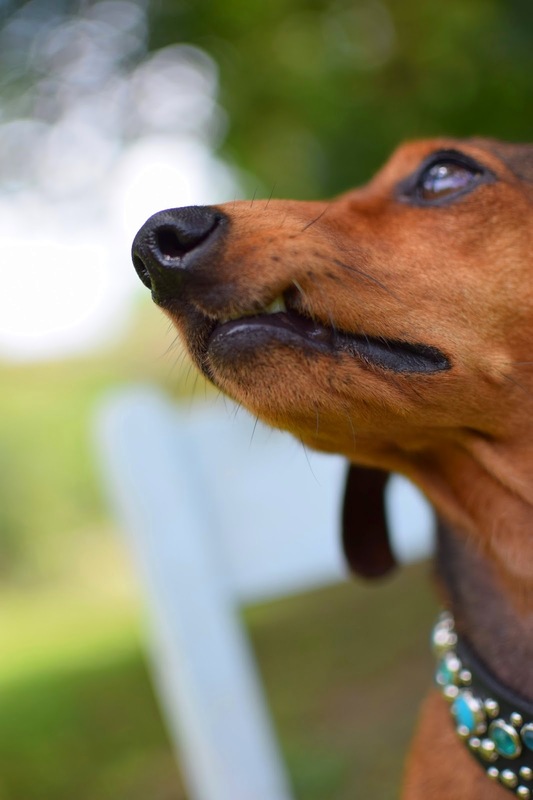 I know Dachshund Nola from the weekly blog hop, but didn't know about Doggerel. Guess who I'm off to visit next? We have enjoyed these too. Some much time spent and so much creativity we know everyone puts so much effort into them. Nice one. Have a terrific Tuesday. Loved reading this, and I gotta tell you, I am one of the WORST at being organized! Great post! This is the second time I've come across the blog tour. I wish there was more time during the day. I work full time 9-5, so as far as I go is about a week or two for Monday / Tuesday posts. As much as I would like to plan a month or more ahead, I do like to stay in the now.